This recipe comes from a tiny pocket-book cookbook I bought 15 years ago, while still living in Croatia. Around that time, first Mexican restaurant opened in Croatia and popularity of Mexican food started to grow rapidly. This was a mini Mexican cookbook (Anne Wilson), translated and with basic simple things. It had 2 desserts in it, this is the one that didn't boggle my min at the time. 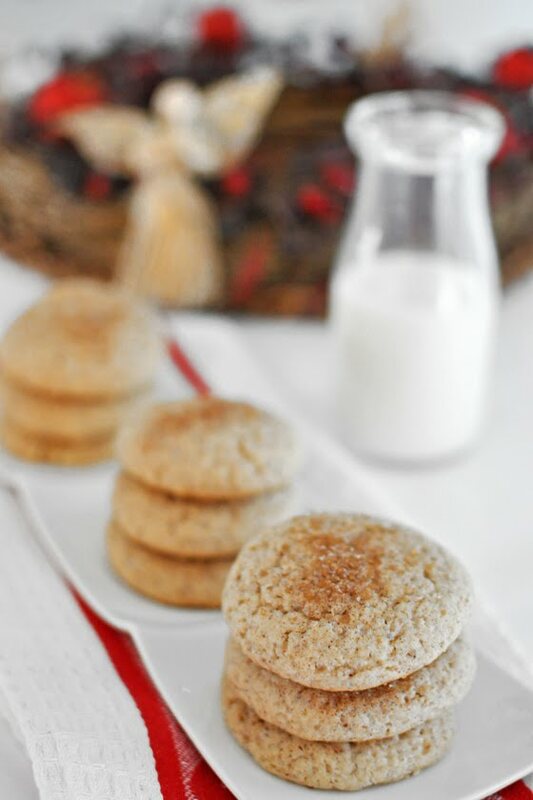 Simple Mexican wedding cookies. I don't know if they are or not, but that is what they called them, and they were different than any cookies we ever made in Croatia at the time so everyone really liked them. Everyone still likes them and my mom and some of my friends do them even today. 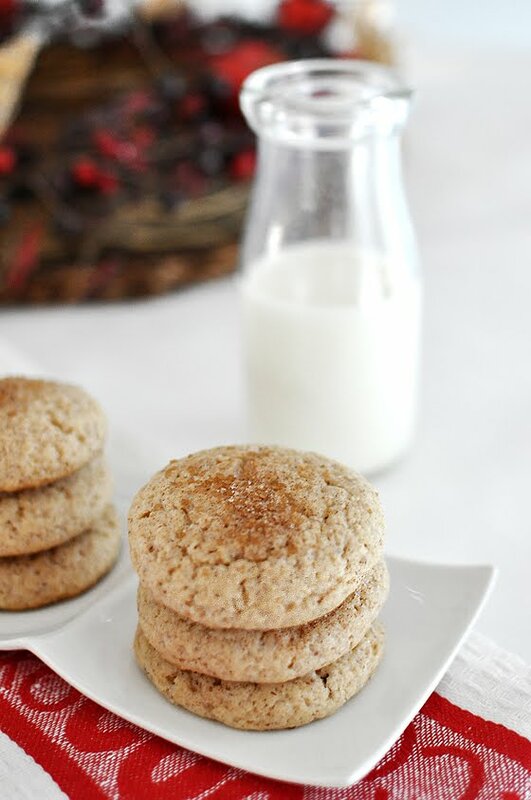 They are a nice change from typical kind of a chocolate chip cookie and cinnamon to me means holidays and cold weather, so they were a logical choice for a quick, I am out of sweets and it's the holidays moment. Seriously. You can have these cooling on a rack (or sneaking into your mouth) from start to finish in probably 15 minutes! *If you don't have ground almonds just put sliced or whole almonds into the food processor first with some sugar and pulse until ground. Don't skip the sugar or you will get almond butter. With a tbsp take some dough and with hands shape into a ball. Press just a bit to form a cookie, they will relax a tiny bit more so don't overdo it. Sprinkle some mixed cinnamon and sugar on top. Put on a lined baking sheet an inch apart and bake for 8 minutes. Take out at the very first sign of browning at the rims, they will finish cooking outside the oven. Cool them and store into airtight container. They are going to get soft and crumbly and delicious, and they are good for up to a week. Is this not the simplest cookie ever? The flavor is mild, you can certainly taste the almonds and cinnamon, but it isn't overpowering and sometimes is good to go back to the basics! P.S. These are truly wonderful with coffee and tea. How many approx cookies does this make? I would say 18 to 24! Should the brown sugar be packed? 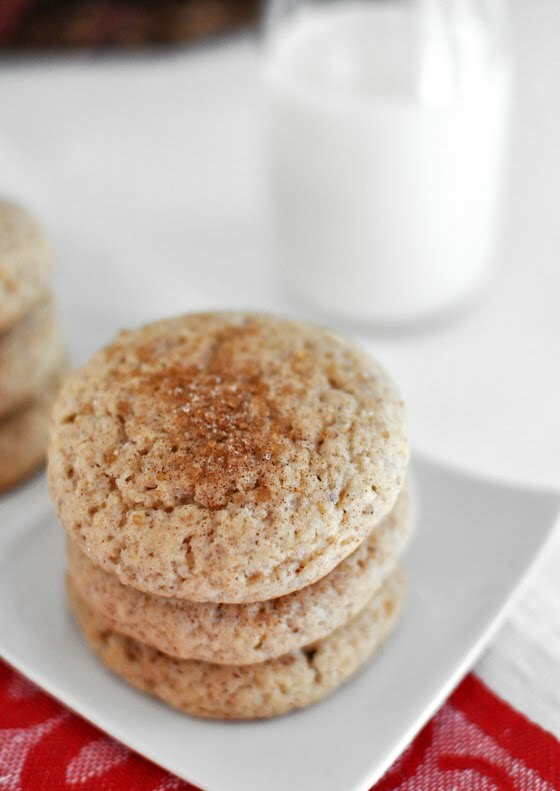 Lovely cookies, so easy to make and super tasty, I absolutely love the combination of almonds and cinnamons! Yes, whenever I use brown sugar I pack it in the measuring cup! Tanja, thank you and greetings back to you, I love Austria and miss going there for our little day trips! Do you have to use almonds for it to come out right? You can pretty much use any kind of nut!